Truong Chinh St. Tan Binh Dist. 8 AM - 10 PM. Monday - Sunday: 8 AM - 10 PM. 7:30 AM - 10:30 PM. 8:00 AM - 9:30 PM. Chung cu Useful, 654/6 Lac Long Quan St.- Ward 9-Tan Bih Dist. 332 Luy Ban Bich St-Ward Hoa Thanh, _ Tan Phu Dist. 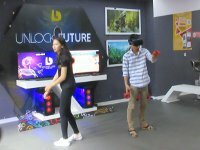 Tang tret, toa nhe Blue Square, 91 Pham Van Hai St., Ward 3, Tan Binh Dist. 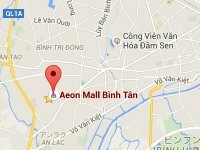 74 Dat Moi St., Ward Binh Tri Dong, Binh Tan Dist. 住所：Bitexco Financial Tower,　45 Ngo Duc Ke, District 1, Ho Chi Minh City. 住所：7-9 Nguyen Van Linh, Long Bien Dist., Hanoi. 043 333 2500 Lotte Mart supermarket occupies the entire basement B1. From the 1st to the 6th floor is a shopping center Lotte Department Store Hanoi with 250 world famous brands. Besides being class A office space, and 258 serviced apartments on floors 8 to 64 storey towers in the west.